During my weekly date with my family last Saturday, this time we went back to Te Papa Museum to experienced the latest attractions “Our SPACE” which my kids loved it. 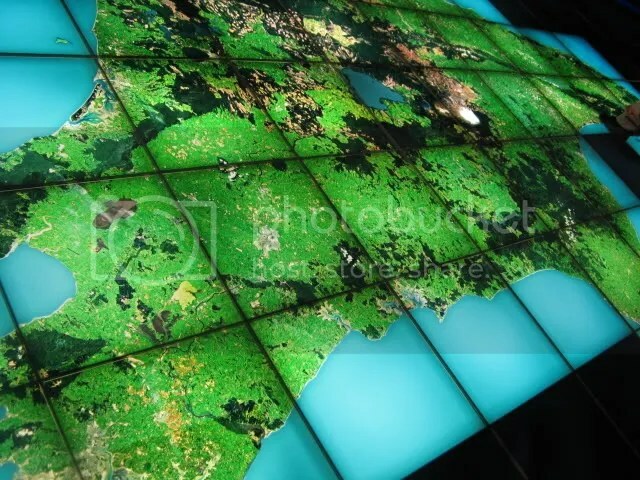 A 14 metre satelite image of New Zealand, that glows on an interactive glass floor. Aside from that, You can unleash your creativity on a 18 metre interactive video wall. Upload images,video and text to the our space state of the art interactive video walls. It was a great experienced for my kids to learned New Zealand Arts and Cultures through multimedia experience courtesy of Te Papa Museum. so, sign up and become part of the our space community, According to Te papa, Once you’ve joined, you cans end photos, video and text to be uploaded on the Our Space website, The Map and The Wall, You can also join discussion groups and track your favorite contributors. Visit http://www.ourspace.tepapa.com to join up and contribute your own images to Our Space.